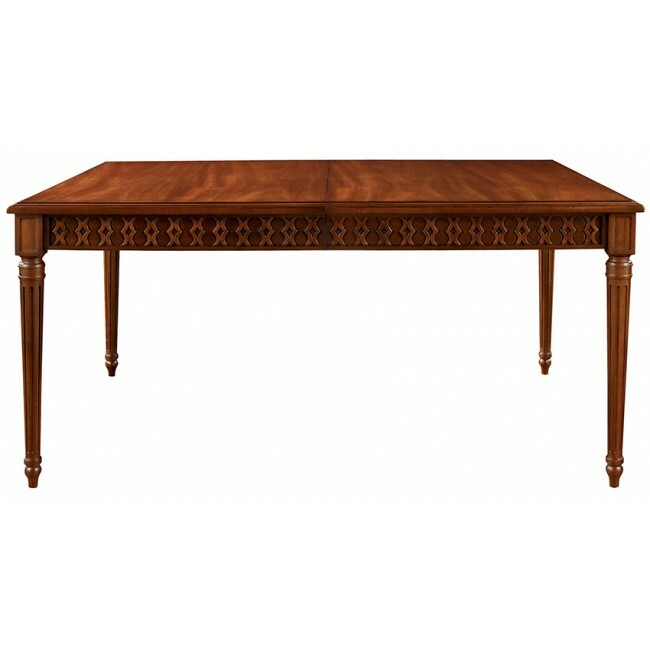 the Gustav Dining Table was inspired by a Scandanavian table. Available with a choice of apron friezes. 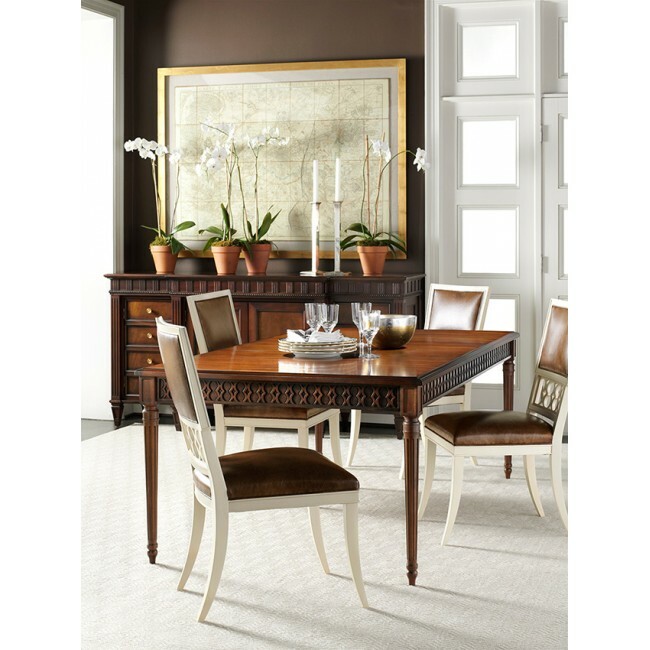 Standard with a figure-eight frieze pattern, one may also select from a cathedral cut mahogany option for greater personalization. 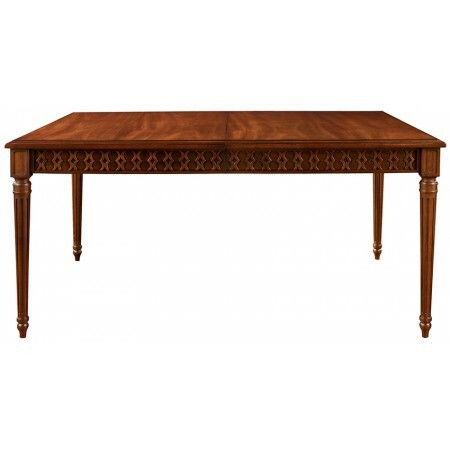 The rectangular Gustav Table is standard with a carved and fluted tapered post. The Ilsa Side Chair is the perfect companion with waist panel option to coordinate with the Gustav apron.